Olympian's Choice! FDA 510k Approved and reliable. 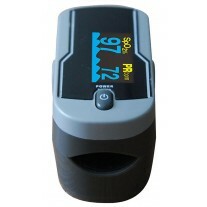 Fast, accurate readings and great durability! Dual-color OLED display with 6 reading modes! 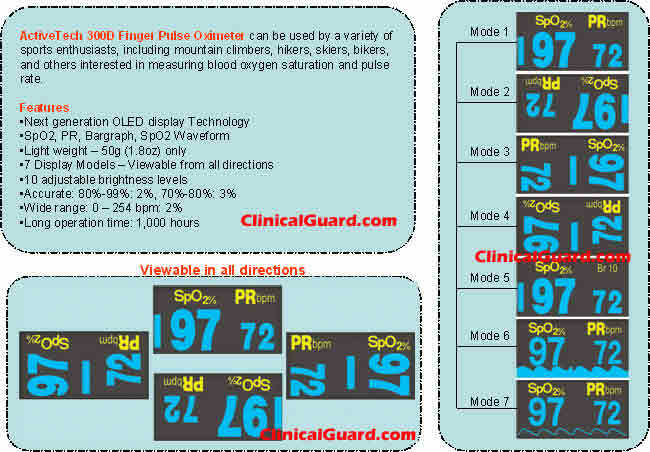 ClinicalGuard has been involved in providing professional athletes with Pulse Oximetry Equipment to train and prepare for competiton. We are pleased to support competing athletes worldwide participating in events such as the ITU World Triathlon with the Octive Tech 300D model. Our devices have helped in the training, recovery, and real-time monitoring of these athletes. Their continued collaboration with ClinicalGuard is a testament to our quality and dedication for excellence within sports events and the healthcare community. 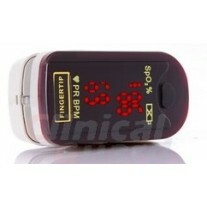 OctiveTech 300D Digital Fingertip Pulse Oximeter combines advanced technology with a stylish, wearable design. The only fingertip oximeter on the market that will provide 4 parameters (SpO2, PR, Perfusion Index bar-meter and waveform). 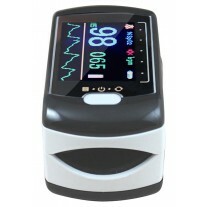 It is one compact unit providing fast, real-time, reliable blood-oxygen saturation percentage, pulse rate and pulse strength measurements. In addition, this ultra-light oximeter with a large bright NEXT-GENERATION OLED (Organic Light Emitting Device) display, one button keypad and auto power-off, makes it ideal for all severe weather conditions. For more information about OLED technology, please visit Univeral Display. SIX Display modes allow readings viewable from all directions. Best Quality and Accuracy guaranteed. This item is covered under 2-year limited warranty.